My Avjobs is a service that offers an applicant like you a unique, MyAvjobs.com email address such as john.smith@myavjobs.com or jane.smith@myavjobs.com. Your MyAvjobs.com email address can be used in addition to, or as a replacement for, your regular email address. 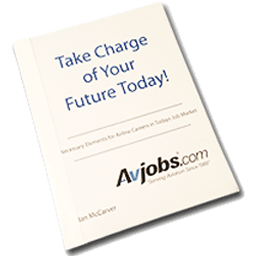 Applicants - Get your.name@myavjobs.com as your lifetime email address. Why would I want an MyAvjobs.com email address? EMPLOYERS & RECRUITERS CAN ALWAYS FIND YOU! Are there other advantages of an MyAvjobs.com email address? Yes. With most ISPs, your regular email address, as well as the identity of your ISP, can be concealed. When you send email messages, your reply address will be shown as your MyAvjobs.com email address (i.e. john.smith@myavjobs.com) rather than your regular address (i.e. jsmith239@aol.com). This makes it much easier for employers and recruiters to remember your email address. Will my regular email address still work? Yes, as long as you continue service with your current ISP. MyAvjobs.com does not effect your current email address. Can I pick any name that I want for my MyAvjobs.com email address? Yes. Your base email address will be your first and last name. You are welcome to change your email address and/or add an alias at any time. All email addresses end with "@myavjobs.com". You can change your base email address to "anything"@myavjobs.com as long as it is not already being used by another member (an administrative fee may be applied to make these changes and is not recommended).